Sham of 300-thread count cotton sateen. Back hidden button placket closure. 1.5" stitch down flange with 0.25" metallic cover stitch. Sham of 300-thread count cotton sateen. Back hidden button placket closure. 1.5" stitch down flange with 0.25" metallic cover stitch. Imported. 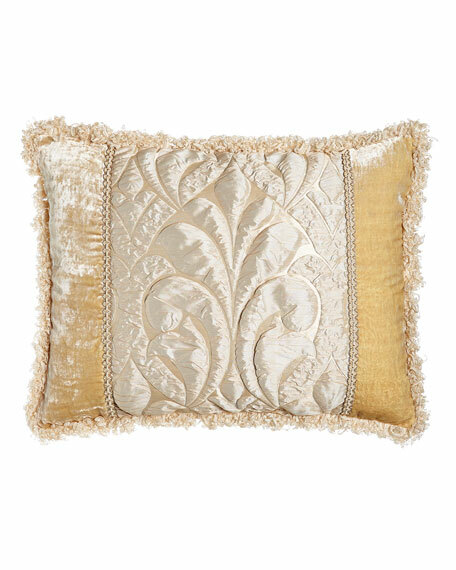 Sham with 2" stitch down tailored flange with single pick stitch from the Annandale Collection. 300-thread count cotton sateen. Hidden button closure. Machine wash. Imported.